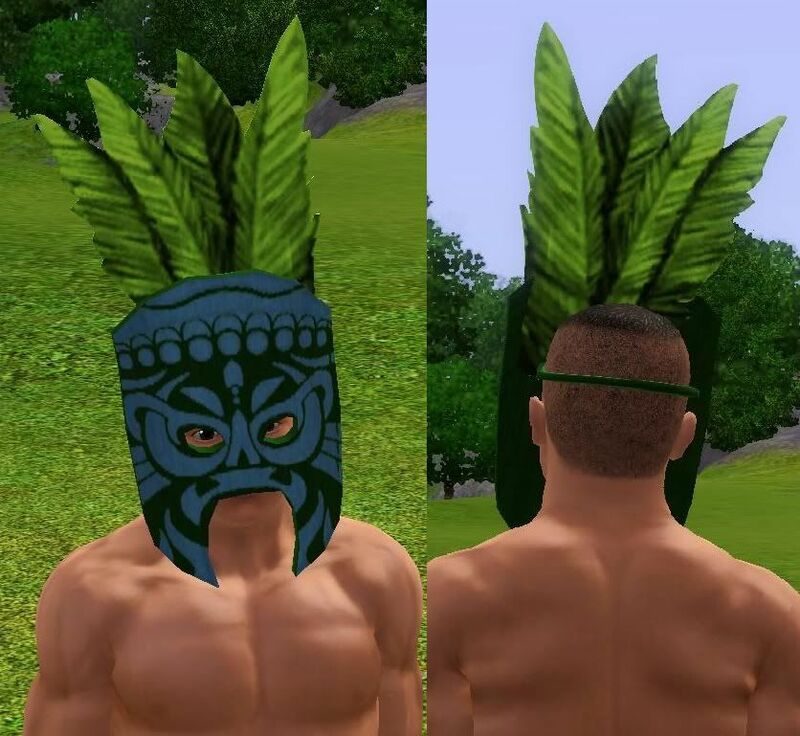 This is The Sims 2 Bon Voyage Hidden Tiki Mask for men for The Sims 3. It's available for Young Adult and Adult males. 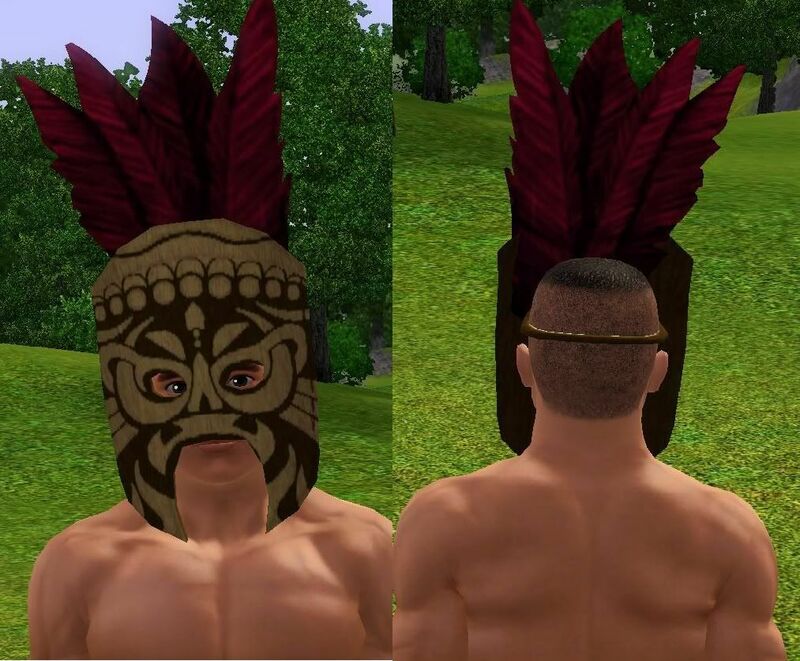 The mask has 3 channels, and 3 default color/pattern choices which are shown below. The mask takes up the accessory category of glasses. 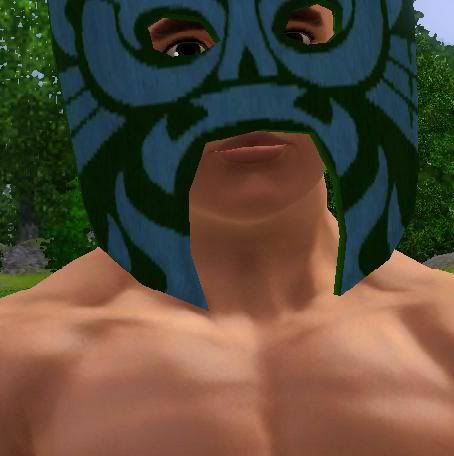 So your sims can't wear glasses when they wear this mask, but there wouldn't really be much point in that anyway. I've only included the sims3pack file, because this turned out to be a large file, if you want to you can convert it to package using Delphy's sims3pack multi installer, sorry don't have a link handy, just google. I hope you enjoy!